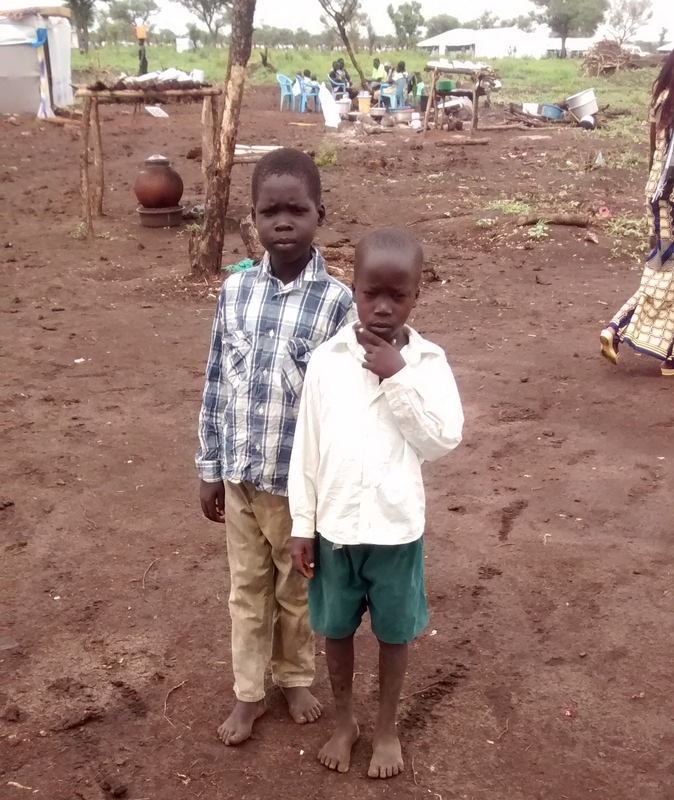 Moses Moini had such hope for his home and family in South Sudan. In 2011 South Sudan gained its independence from Sudan, following years of conflict. Resources began to pour into the country. Moses was so pleased that he could help his mother build the best home she had ever had in their village in Kajo Kaji Country in Central Equatoria State. He believed she could live the rest of her life in comfort aided by the money he sent from Canada. She would never need to flee again. She was safe. Sadly the hope was short lived, by 2013 fighting had broken out between members of the Sudan People’s Liberation Army (SPLA) loyal to President Salva Kiir and those loyal to the then Vice-President Riek Machar. The conflict took on an increasingly ethnic dimension, with the leaders of the two main opposing factions belonging to the two largest ethnic groups - President Kiir, a Dinka, and former Vice-President Machar, a Nuer. They each drew much of their support from members of their own ethnic groups. A peace deal, signed in August 2015 by President Kiir and Machar, which reinstated Machar as Vice-President, was never fully implemented and eventually collapsed in July 2016. In early July 2016, a series of violent clashes between government and opposition forces in the capital Juba heightened tensions and led to a deadly shoot-out on 8 July between bodyguards of President Salva Kiir and then First Vice-President Riek Machar. The fighting in Juba forced Riek Machar and opposition forces to flee southward. Relative calm was restored in Juba following the flight of Riek Machar and opposition forces, but the fighting in Juba triggered a surge of violence in the southern Equatoria region, resulting in killings of civilians, looting, and arbitrary detentions. Riek Machar was dismissed as First Vice-President resulting in a split in the Sudan People’s Liberation Army/Movement in Opposition (SPLM/A-IO). In the course of this conflict both government and opposition forces have committed war crimes and widespread human rights abuses against civilians. Men, women and children have been shot, hacked to death with machetes and burned alive in their homes. Women and girls have been gang-raped, some after having been abducted. Homes, schools, medical facilities and humanitarian organizations’ compounds have been looted, vandalized and burned down. Moses followed the conflict from Canada daily; particularly after July 2016 when the Vice President Riek Machar fled the country. Tensions in the area near his mother’s home escalated. Nearby villages were attacked, and civilians were killed. As he checked in daily with his mother he realized the time had come when she too must flee. She resisted; she could not imagine abandoning the best home she had ever had. Moses told her to keep her hope; someday she would return. He helped her and his siblings rent a truck so they could flee to refuge in Uganda. Upon arrival at the United Nations High Commissioner for Refugees reception center in Moyo, they spent two days out in the open with no shelter. They were registered and transported in trucks to Morobi refugee camp in Moyo District. They became a part of the more than more than 900,000 South Sudanese refugees who entered northern Uganda between July 2016 and May 2017. In the Morobi refugee camp, Moses’ family and hundreds of thousands of others were given 30x30 plots of land. In the first week, his family didn’t have a tent, a hoe or even a pot to eat out of. They felt extreme despair, but provisions arrived and they began to eke out their survival. Then the rains came; the refugee camp was located in a wetland. When the rains came the refugees were flooded out and they had to flee again looking for dry ground; a double tragedy. His mother lost all hope. In May Moses travelled to Uganda to bury his mother. She never had a chance to return to the best house she had ever had. He told me his only comfort now is that she is in a better place; with no more sorrow or grief. On the day that I spoke to Moses he was moving his family in Canada from St. Catharines to Welland Ontario. It was a bittersweet occasion. Moses told me that as he is moving from one comfortable house to another there are moments when he has to stop what he is doing; pull over on the side of the road, and grieve for the rest of his family who remain in Uganda and have lost all hope for the future. Please take action to support South Sudanese refugees in Uganda, and take a few minutes to write a small message of hope. Let them know they are not forgotten. Help them find their voice and believe in a future where their dignity is restored and they will have safety and security. In 1989 Moses was forced from his home in Sudan and fled to Uganda. Three years letter he was resettled to Canada as a refugee. With the help of his sponsors he completed his studies at Brock University. He has since work in community development in Tanzania and as a Refugee Program Associate with the Christian Reformed Church of Canada. 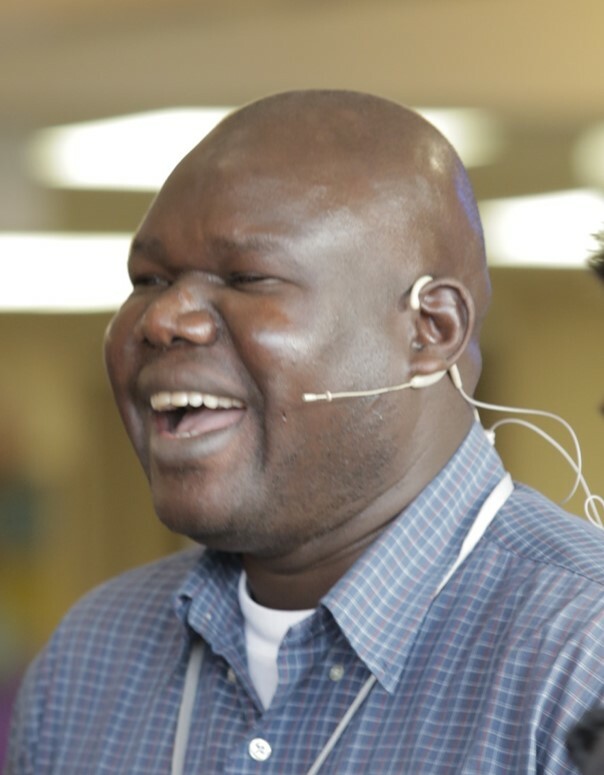 Moses joined Mennonite Central Committee Ontario in 2008 as the Refugee Program Coordinator. He is passionate about refugee issues, committed to advocacy, and serving as a voice for the voiceless. Gloria is a refugee rights and country campaigner with AI Canada. In the course of her 20 years of work with AI Canada she has... continue reading Gloria Nafziger's bio.